Tonight I am going to taste a new travel exclusive Single Malt from Loch Lomond Distillery. Loch Lomond Whiskies has created an exclusive Whisky for World Duty Free’s World of Whiskies store in Heathrow Airport Terminal 5. 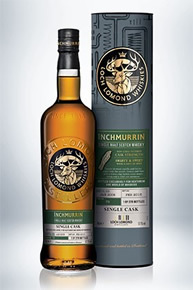 Only 278 bottles of the 10-year-old Loch Lomond Inchmurrin Single Cask will be available. 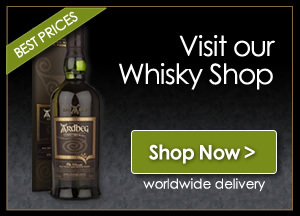 The non-chill filtered single malt Scotch Whisky was distilled in the Loch Lomond Distillery’s in January 2008 and bottled at cask strength (57.1% ABV) in February 2018. Nose… Soft and sweet aromas, grape juice, kiwi and strawberry smoothie. Taste… Vanilla and oak leads the way, a tongue tingler, a teardrop of water smooth’s it out a little, quite an old fashioned feel to this one, sweetness is in charge. Finish… Long and sweet, in comes a wee citrus burst, out of the oak comes a hint of spice. Grand dram, priced at an unbelievable £59.00 will sell out with in days of release, well done to all at Loch Lomond distillery.